My review of Elizabeth Kostova’s The Historian - it appeared in yesterday’s Business Standard Weekend. Wasn’t meant to be a review, more like a write-up on an interesting new book with some background detail. But oh well. Note: I’m not completely knocking The Da Vinci Code; like most people, I enjoyed it for what it was. But I’m rapidly developing a fascination for books like The Historian (another distant relative is Donna Tartt’s The Secret History, the first half of which was absolutely brilliant) that come from a similar genre but allow events to unfold (and characters to develop) at a more leisurely pace. Next on my list: Jon Fasman’s The Geographer’s Library. Note 2: Weird that Istanbul suddenly seems to be featuring prominently in everything I read. The legend of Vlad Tepes, the tyrannical 15th-century ruler whose many acts of cruelty and torture gave him the title Vlad the Impaler, has cast an unusual shadow on the modern world. The novelist Abraham Stoker used Vlad as the inspiration for his vampire novel Dracula, published in 1897, and that tale was in turn appropriated and glamorised by cinema in the early decades of the last century. Through a series of films – from F W Murnau’s genuinely creepy classic Nosferatu and Carl Theodor Dreyer’s atmospheric Vampyr to the Hollywood movies that perpetuated the image of the suave, black-cloaked Count Dracula – the legend spread in popular culture. And in the performances of actors like Bela Lugosi and Christopher Lee, the vampire was hammed out of all resemblance to the fierce feudal lord who had inspired the story. Now, in a compelling inversion of literature and history, first-time novelist Elizabeth Kostova gives us a lush fiction based on the Vlad legend. The Historian is set in three time periods (1930, the early 1950s and the early 1970s) and begins with a 16-year-old girl discovering a macabre old book in her father’s library, a picture of a dragon spread across its centre pages. Over a series of journeys around central and eastern Europe with her diplomat-father, she learns in fragments the tale of a quest to discover the tomb of Vlad Tepes, and of separate obsessive searches carried out by her parents, and by her father’s adviser, Professor Rossi. The premise of these searches - hold on to your crucifixes - is that Vlad the Impaler is still alive; or rather, Undead. Following the success of Dan Brown’s The Da Vinci Code and other books like The Rule of Four, there has been an increased interest in the historical thriller, and The Historian is easily one of the finest works to have come out of this sub-genre recently. Where the Brown bestseller was built on a series of chapter-ending cliffhangers that helped mask the tediousness of the writing, Kostova’s is a better paced, much better written novel. "There is something vastly mysterious for me about the shift one sees, along that route, from the Islamic world to the Christian, from the Ottoman to the Austro-Hungarian, from the Muslim to the Catholic and Protestant. It is a gradation of towns, of architecture, of gradually receding minarets blended with advancing church domes, of the very look of forest and riverbank, so that little by little you begin to believe you can read in nature itself the saturation of history. Does the shoulder of a Turkish hillside really look so different from the slope of a Magyar meadow? Of course not, and yet the difference is as impossible to erase from the eye as the history that informs it is from the mind." If The Historian disappoints at all, it disappoints at the very end, with the all-too-literal confrontation with the mythic Vlad/Dracula seeming anti-climactic compared to what’s gone before. But the occasional sloppiness of the last 50 pages can’t defeat the stately beauty of the 600 that went before. Kostova’s eye for detail, her subtle humour and her thesis that "in history, there are no tiny questions" make The Historian one of the most engrossing reads of the year. Compared to most other books in its genre, this is a richly textured whisky placed amidst cans of Diet Coke. I might beg to borrow The Historian soon, if I may. One of the highlights of my Romania trip was a visit to Vlad's castle in Bran, which is of course advertised to tourists as Dracula's castle! The cottage industry of Dracula-inspired souvenirs that has grown around the castle is very amusing, given the fact that Romanians themselves have never had a Dracula-like legend around Vlad. 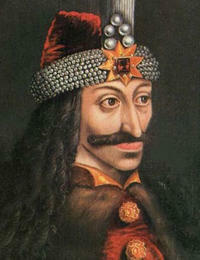 Vlad is seen as a bit of a hero in those parts, since he established an independent fiefdom and fended off the Turks. The castle itself is definitely worth a visit, a very well preserved medieval house, very handsome, with an view of the absolutely gorgeous valley that surrounds it. Kostova speaks of a shift, but I also saw an amalgam, and Romania is more of a palimpsest than most, bearing complex intersections of borrowings from the Romans, Greeks, Turks, French, Russians, etc. This was the second review per se of The Historian I read in a day (the first being in The Hindu). Must get the book. Certainly, it's much better researched, written and layered than The Da Vinci Code...but one found the build-up far too long. Inside this fat book is a slimmer one struggling to get out. Aishwarya: sure. You done with Istanbul? Thalassa: I'm so envious! And about cottage industries that pander to tourists - well, how can you escape those? I saw so much artifice on my Britain tour last year, especially at Shakespeare's birthplace in Stratford-upon-Avon. PrufrockTwo: I felt that way myself on occasion, but overall I'm not so sure. A large part of the pleasure for me was the languid, leisurely style. If it had to be shortened I wouldn't want it to be shortened by more than 50-60 pages. 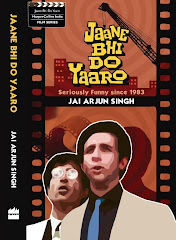 Jai - it's been a busy week, but should be done by this weekend.I'll give it to you then, if you're free. Are you? Thought I'd mention my favourite Dracula story here, but thought better of it and made it into a post. 'Tis the Age of Conservation. Is Istanbul a thriller from the same genre? I thought it was semi autobiographical...? Jaygee: I said The Secret History was in the same genre as The Historian, not Istanbul. The Tartt book isn't obscure btw (though it might be in India I suppose) - it was a big critical and commercial success in the US in the early 1990s, and has quite a cult following even now. Am currently reading "the Historian" which I got after much (too much) anticipation. I'm still in the middle of it, which might account of my view of it. Overall? its a good book. First, its not as marvellously written as that other fattie, Strange and Norrell, which I finished over 2 breathtaking days. Second, all those faux romances (that tedious one b/w the girl and that undergrad in south of france and the four day sexathon between the Hungarian villager and the professor to name just two) could have been edited out. They read like those mandatory Hollywood inserts of romance in the middle of the most thrilling adventure movies. Third, the talk of crucifixes and garlic and silver bullets could have been avoided. Adds stupidity rather than any real terror to the story. Fourth, I notice (despite your review) that Kostova employs pretty much teh same annoying cliffhanger approach as Brown. Actually (ok sue me), I don't find much difference between this one and Brown's book. Its just that this one is much thicker, and covers many more exotic countries. fair enough. Yes, the faux-romances could have been avoided, and another flaw is that all three of the major first-person narratives sound exactly alike. If Kostova didn’t have the inclination/ability to pull off different voices, she should have chosen a different structure altogether. But I don’t agree that it’s as cliffhanger-driven as Da Vinci Code. And in the final analysis I preferred it to The Geographer’s Library and The Rule of Four. Anyway, this debate can carry on endlessly...even Dan Brown’s book (which we all so enjoy poking fun at) is a marvellously effective work within its own particular genre - and to its credit it makes no apologies about being a popcorn thriller. 'The Historian' is not a bad summer read, its temper is, unfortunately superficial. The Dracula myth is blatantly sexual. Ms. Kostava does not address this issue in her novel. That's too bad, the book would have benefited.